The course will be taught in English, with Spanish translation. 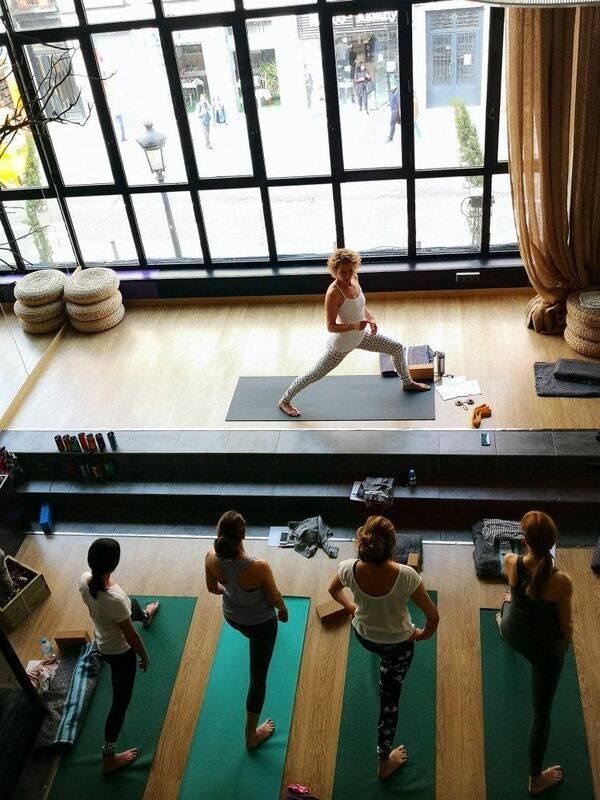 Practice with Sandra Carson, senior international yoga teacher (E-RYT500) and Anusara® certified during this weekend workshop in Madrid. Learn to feel and give flexibility to your psoas and create stability in your movement. The psoas is a deep muscle that is a major player in our body that has many jobs. It acts as a stabilizer between the lower body and the upper body, it is a mover of the legs and it creates flexion of the hips. For yoga practitioners, having a healthy psoas has a tremendous positive effect on forward bends, backbends and twists. Besides the physical benefits of a healthy psoas, this hipflexor also has a powerful effect on how able you are to relax and feel good in your body. In addition to its physical role, the psoas is also an “emotional” muscle and your “second brain.”Stress, unprocessed trauma and emotions are stored deep within your body, and in the psoas muscle. To connect to this part of yourself and to learn to feel it and release it, can be of great benefit to finding more ease, wellbeing and vitality. The workshop is accessible and recommended to students of all levels and yoga practitioners who want to learn new patterns of movement. It can be of particular interest to yoga teachers and students wanting to learn more about the effect of the psoas and pelvic alignment in yoga, to people with some pain in the lower back or pelvis zone and in general for those interested in improving their health and emotional state though yoga. It is highly recommended to take all workshops together, if possible. 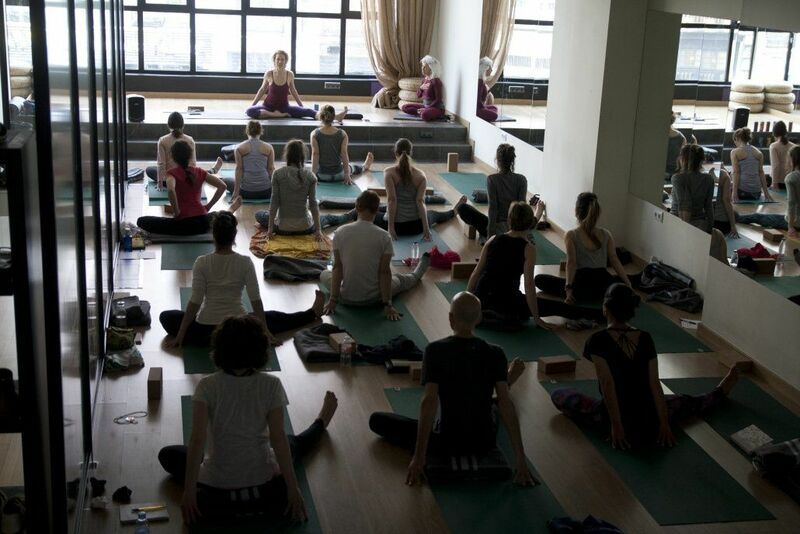 The course qualifies for Yoga Alliance continuing education hours. It’s all about the base: psoas and core. The psoas muscle lies deep within your pelvis, is part of your core and greatly influences the alignment of your pelvis and the engagement of your other core muscles. Feeling the pelvis , releasing the psoas and activating the core is the key to optimal pelvic alignment and stability in yoga and in your daily movements. In this yoga workshop, you will explore movement and stability in the pelvis, understand how the psoas and abdominal core muscles work together and see how tightness in the psoas will have a different effect on the pelvis and core stability and its influence in the asanas. Yoga and the Psoas, the Vagus and the Nervous system . The practice of yoga brings us awareness of our bodies. It helps us to move, stretch and feel. We connect the breath to movement or actions and brings about a sense of freedom, stability, peace and aliveness. But sometimes our bodies react in an unexpected way, or particular thoughts or emotions pop up in our awareness; resistance or fear may show up without any particular reason or cause in our yoga practice. Most people have some form of unresolved trauma stuck in their bodies. When this happens, it is likely that the yoga is triggering a trauma that is stuck in our body. Yoga has many practices that can help to feel and release tension and prevent the body from going into a state of fight or flight. 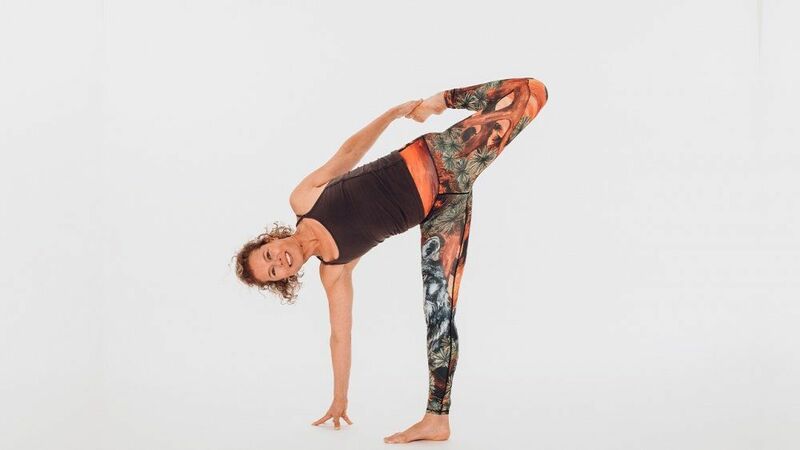 In this workshop, you will learn through yoga and movements how to consciously release the pelvis and psoas, and tension connected with the psoas. You will practice and see how breath work influences the nervous system and how connection plays a role in keeping the body out of a state of defense. Pelvic Power and Bliss – workshop specially designed for women. Your pelvis is the true center of your being. It is the center of your physical body, transferring the weight from your torso into your legs. It is also the home of your base chakra and the second chakra, which are linked to your feeling of relaxation and delight. Your pelvis is a container for energy. When this energy gets stuck, it will literally pull your body out of balance and cause misalignment in your body and movement. Many nerves are located in your pelvis. It is the place of intuition, power and bliss. In this workshop, you will get a taste of how to move with pelvic fluidity in movement, how to connect to your feminine flow and how you can relax your entire body from your pelvis. 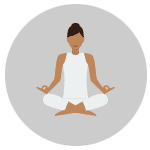 You can expect a juicy yoga asana practice, breath work and a pelvic meditation that you will be able to introduce in your classes or your practice. It will make you feel alive, vibrant with energy and at home in your pelvis. Sandra Carson is a knowledgeable and insightful yoga teacher who has been teaching internationally for the last 18 years. 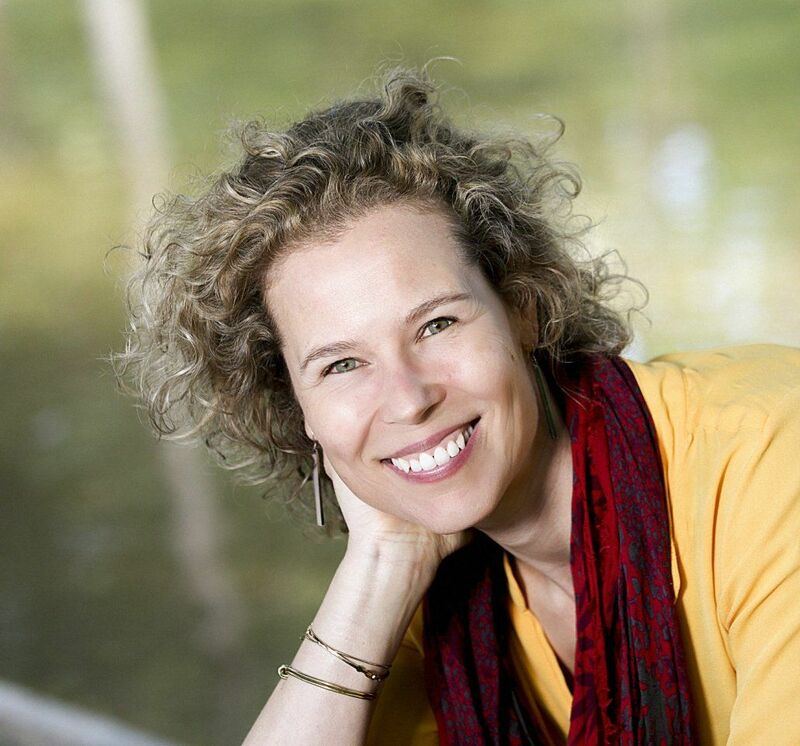 Sandra’s teaching style is rooted in alignment and the cultivation of body awareness through the sensory body. Challenging the students in the practice, she carefully guides them from empowered awareness to the space where transformation can take place. Teaching with clarity and attention for detail enabling the practitioner to experience shifts in both the body and attitude. During the all these years of dedicated study of Anusara yoga, Sandra’s studies, love and curiosity for this practice have led her to teaching yoga as a therapy, helping people to relieve physical pain and supporting their own ability for healing. Her unique yoga classes are a mix of flow and alignment and mostly dynamic and energizing in nature. Sandra teaches classes in Amsterdam and for online yoga studio EkhartYoga.com, with more than 800.000 students all over the world. She also teaches workshops and retreats in different countries, Yoga Teacher trainings and Advanced Yoga Teacher trainings. Sandra will come back to Spain from September 1 -8, 2019, to lead a yoga retreat in nature in Gredos Mountains. Early bird discount for registrations until March 18. A beautiful studio in the center of Madrid. An urban temple for personal development. 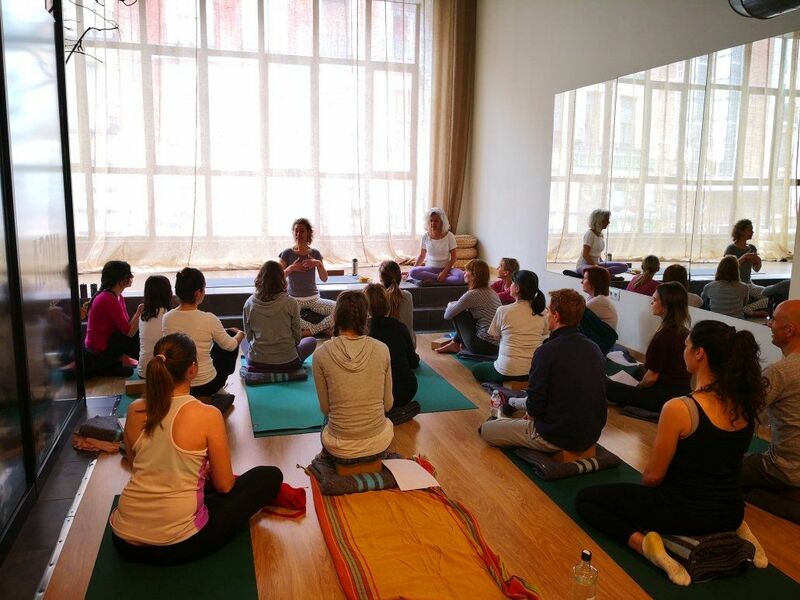 Would you like to practice with Sandra at home before the workshops?Let yourself be guided by her in this soft 25 min class for all levels, thanks to Ekhartyoga. If you prefer a more advanced practice, enjoy this mellow hip opening 50 min class.